Over the past week I started using Anaiti Creams on my face and neck and do notice some positive results. 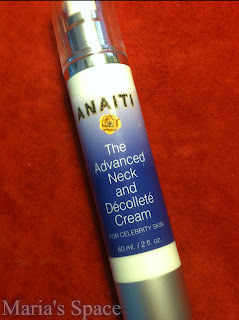 ANAITI'S ADVANCED NECK AND DÉCOLLETÉ CREAM IS NOT JUST FOR CELEBRITIES! Truly! Why should they be the only ones allowed to have incredible skin? Over the past three years I noticed my neck, this year I noticed my crows feet, forehead and cleavage area have definitely become more wrinkled and the skin above my eyes more saggy. It happens. 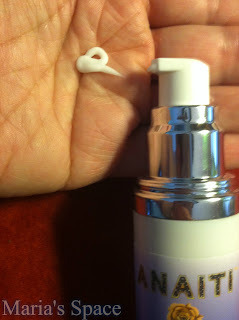 We can't defy gravity forever but we can make a difference or hold it off with the right about of health and beauty care! I believe it has definitely improved the appearance of my skin!